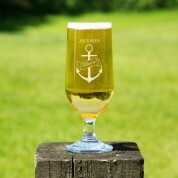 Find room in your heart for this cute anchor beer chalice! 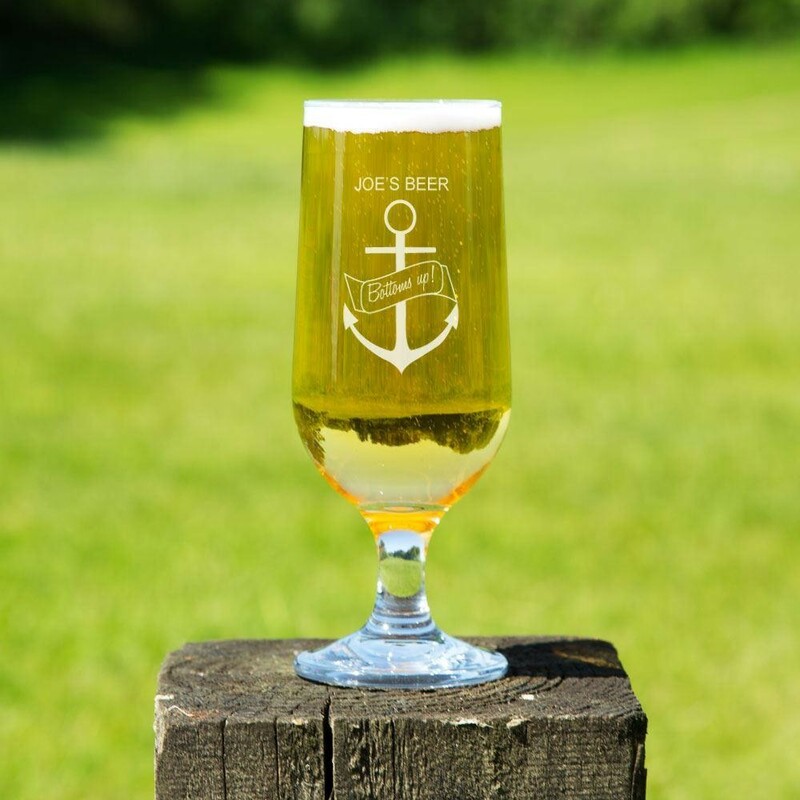 Laser engraved with a bold anchor with a ribbon banded with the phrase 'bottoms up!'. 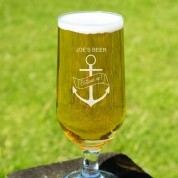 The design is finished with a name, which would make this a brilliant birthday gift for any beer lover! 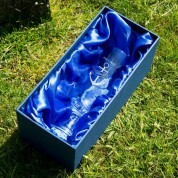 The glass comes in a gorgeous silk lined gift box ready to present to the lucky recipient! Dimensions: approx. 330ml capacity, approx. 18cm tall, approx weight 235g.